A brushed sterling silver wedding band is hammered to create this unique, hand-made .925 sterling silver hammered wedding ring. Made in a 6.5mm width and comfort fit design. 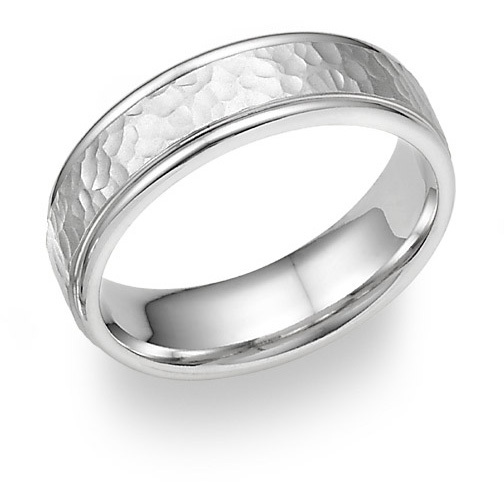 See our collection of quality hammered wedding bands. We guarantee our Silver Hammered Wedding Band Ring to be high quality, authentic jewelry, as described above.